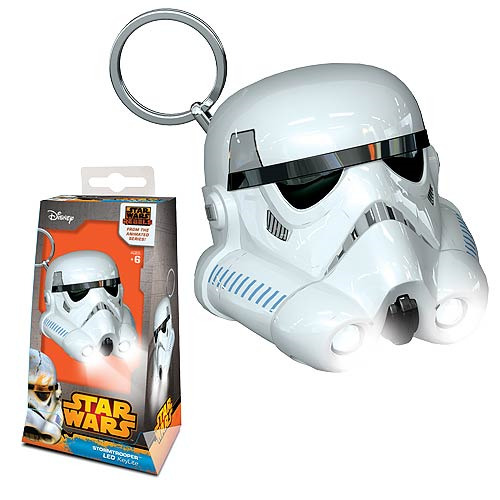 Fans of the Star Wars Rebels animated TV series will love this LEGO Star Wars Rebels Stormtrooper Key Chain Flashlight in the shape of a Stormtrooper's helmet. Push the button to light a keyhole, the inside of your purse, or anywhere you need quick illumination! Batteries required. Ages 6 and up.